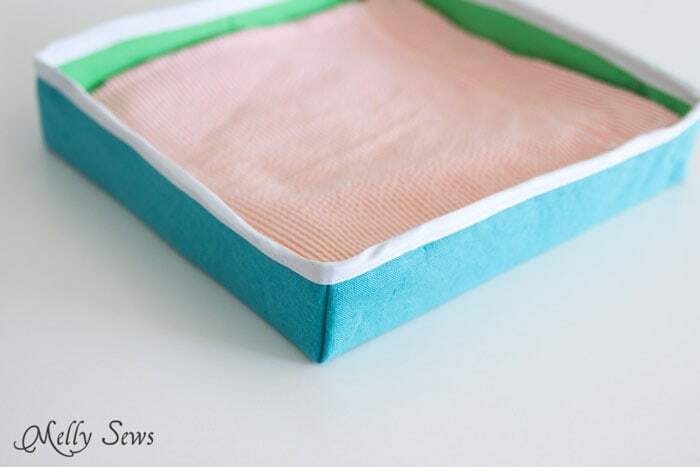 Hey y’all – this post wasn’t planned, but it came about after I sewed a bunch of cloth napkins and then needed to sew a storage tray to keep them contained on the table. 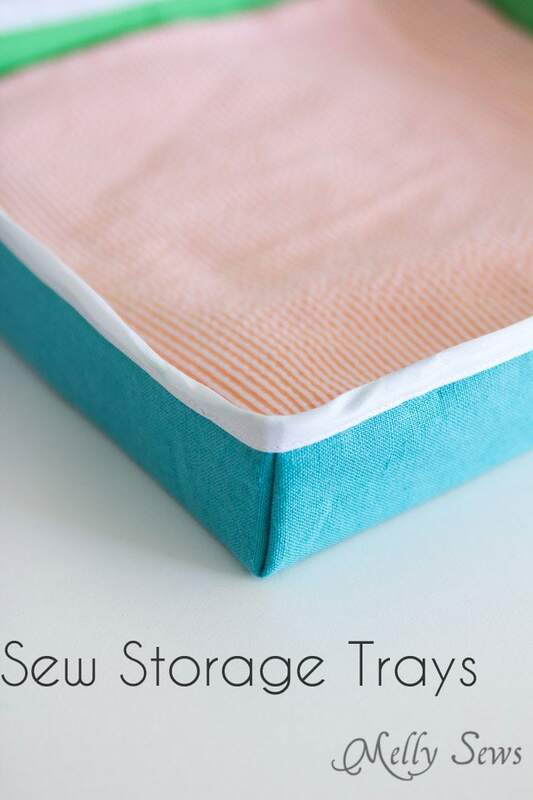 So this post will show you how sew storage boxes, and if you want to head over and read this post, I’ll show you the two ways I used to sew napkins. Then place the lining fabric (I used twill) and the outer fabric wrong sides together. 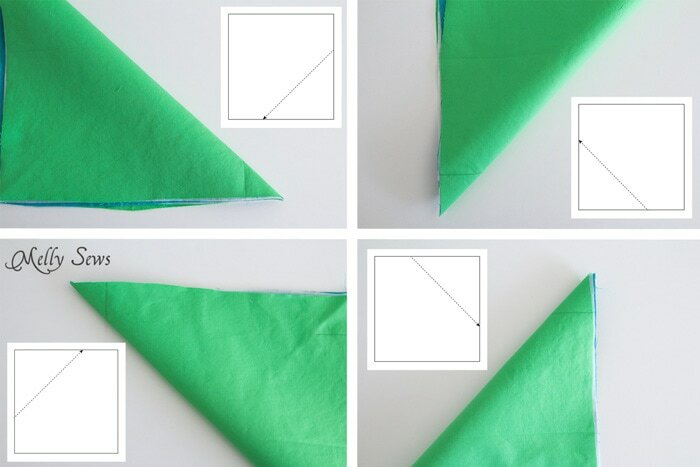 Fold each corner as shown below (the white box shows which way to fold the square) matching the raw edges. Mark a line across the corner at 2″ long. 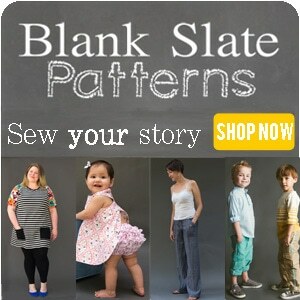 Stitch across this line. Do this to each corner. When you’re finished with that step, your box will look like this. Turn it right side out, and it will look like the above picture. Cut 4 12″ x 1 1/2″ wide strips of cardboard. 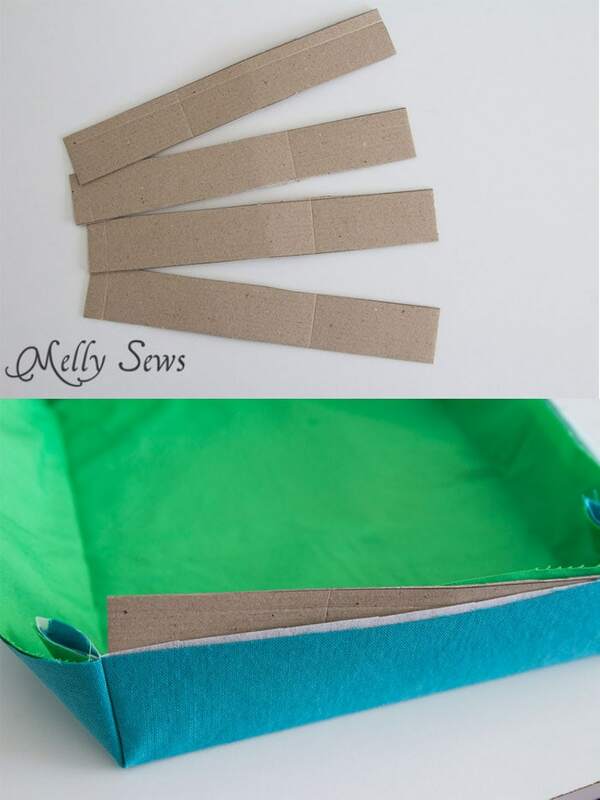 Insert one strip in each side of your box, pushing it to the bottom edge. 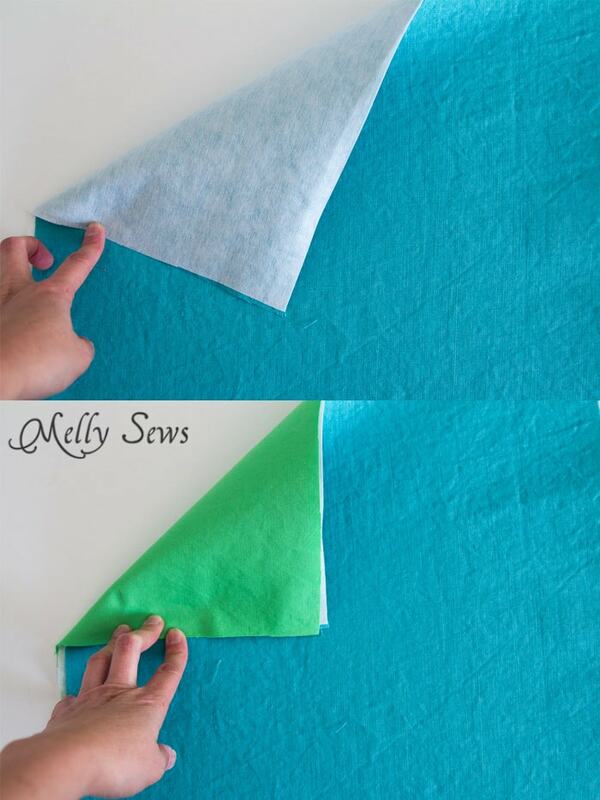 1/2″ of fabric should be above the cardboard. Unfold the bias tape. Pin around the top of your box, folding the short end under 1/4″ to the wrong side where you start, and overlapping when you stop. 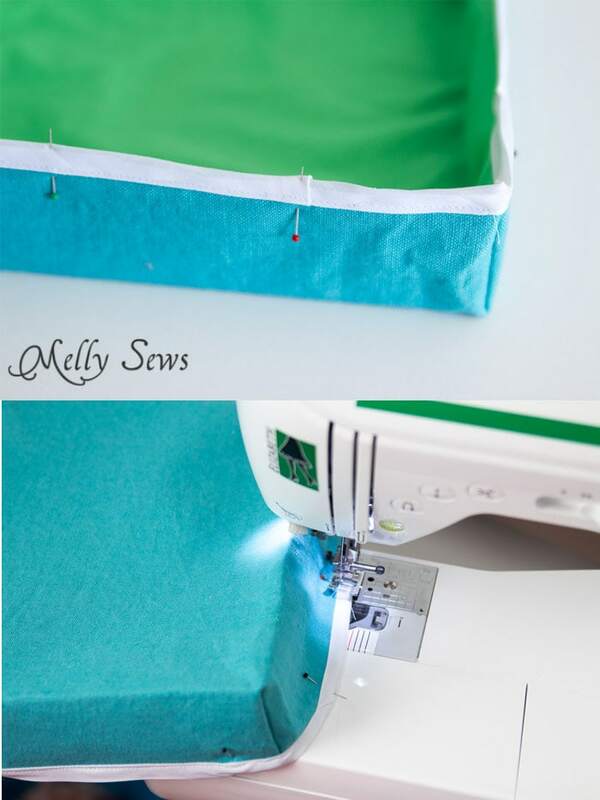 Stitch the bias tape in place – you’ll hold the box perpendicular to the machine bed as you sew, and bend it slightly as you go around the corners. 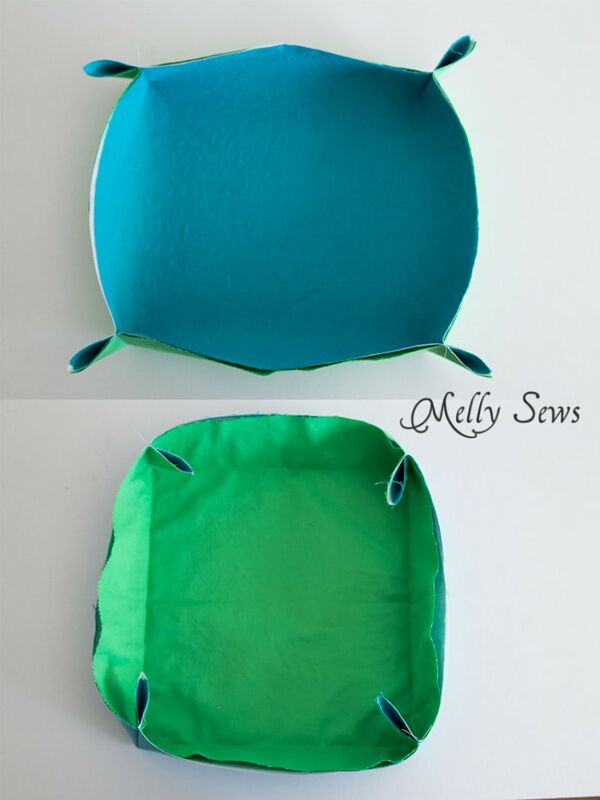 Fold the bias tap to the inside of the box, and pin again. 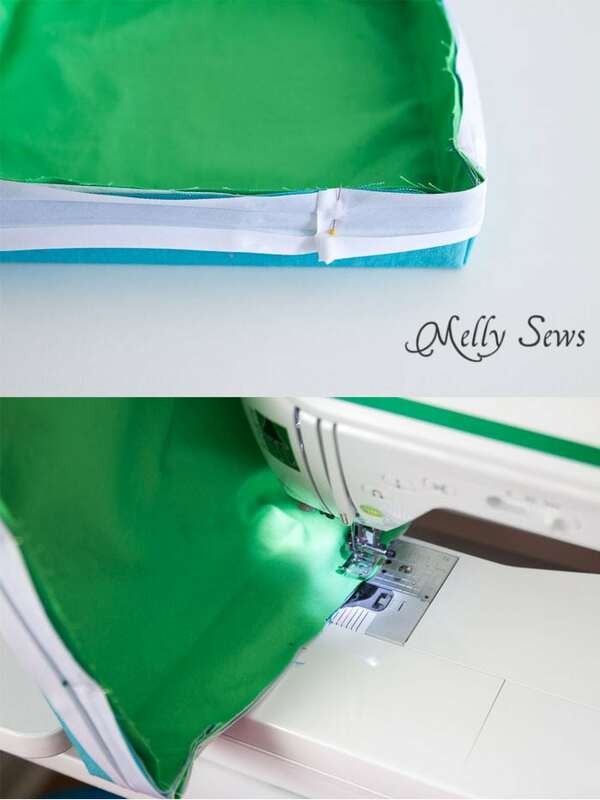 Trim the seam allowance if you need to to get the bias tape folded all the way around. Stitch the bias tape from the right side, bending the box slightly at the corners to go around them. OMG! 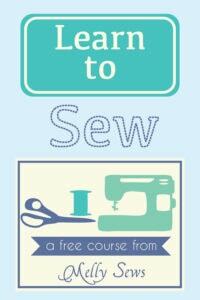 That’s a fabulous tutorial!!! I’m not going to use it for napkins, but I have a couple little girls that will LOVE little boxes like this for “special things” to set on their dresser! (Like their favorite rocks that Mommy won’t let them display on the nice wood!) Cool! THANKS! I have five-year-old daughter and she loves when I propose her to make something like this together. I think that she will love the idea for this box. I will let her choose the colors and the fabrics. Thanks a lot for sharing! Regards!